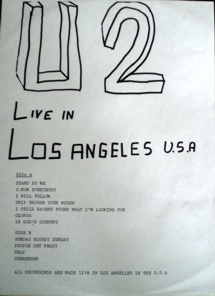 U2 LP Live In Los Angeles U.S.A. Title: Live In Los Angeles U.S.A. Same (black) vinyl 1 included in the original release 2LP 'The Cork Connection' (Sambooka Music Publishing Ltd.).